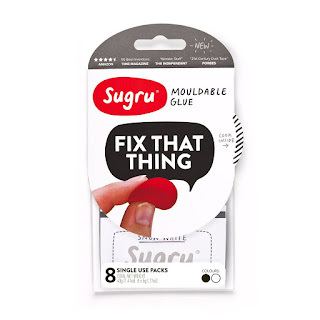 What do you think of this Sugru Self Setting Rubber? Feels like modelling clay and that easy to use! Self-setting rubber, formed by hand and cures at room temperature overnight. Self-adhesive - bonds to aluminum, steel, ceramics, glass, wood and some fabrics. BONUS QUESTION! Who has the best price? Usually it's the US Amazon site, but sometimes it IS the Canadian or UK site!